Welcome to Esabella's Social Eating House. This new and exclusive restaurant and bar brings high end food into a new dining experience. The cutting edge bar will serve luxury champagne, wine, cocktails and beers in an exciting environment. This was our first visit - it will not be our last; the service, attention to detail and setting at Esabella's is first class. Now onto the menu - the choice was just right; something to take everyone's fancy both on the starter and main course choice - in addition you can opt for a steak if you fancy it. The food was the very best I have experienced in any restaurant in a very long time. The chef clearly knows how to present food that is seasoned to perfection - put simply it was absolutely fantastic and I cannot recommend too highly - something I rarely feel in a position to do. Give them a visit you will not be disappointed!!!!! Very smart interior, if a little brightly lit for a intimate dinner. Staff were super friendly, accommodating and on the ball. Food was good, we ate from the tapas menu which was good but we ended up with lots of deep fried things which was totally our fault. Mains looked really good coming out of the kitchen. Great live music in the bar, good place for couples over 30. Think a little pricey for it’s ambience and quality - have had better in other comparable restaurants. Food was tasty though. Main let down was the laddish, pub atmosphere. Didn’t fit. Also they asked to take my not inexpensive coat and instead of hanging it up, put it across a stool and it ended up on the floor. It’s the little things that matter when paying these prices. It's nice to have a decent restaurant in Solihull that isn't a chain franchise or fast food. The menu was good, the quality of the food was very good and cooked well. I would definitely recommend the restaurant, and will certainly be going back again soon. Food was very good, particularly starters. Main course fish slightly overdone and beef a little dry but both still enjoyable. Service fairly slow. Took a long time to make cocktails. Overall a good atmosphere. Restaurant food and staff wonderful. Loved it. Great food served by very professional and attentive staff. Lovely atmosphere with live music in a separate bar area. I’ve been to Esebella’s a couple of times now with my boyfriend. The food is always good with a nice selection of wine. The bar is also nice for a few drinks afterwards, the live music is pretty good too. I’d go as far to say that this is my favourite bar in Solihull. Make a visit if you’re in the area for the evening. This was our second visit and we were not disappointed on either occasion. It wasn’t recommended to us but we had been in one day just for a drink at the bar and put it on our “to visit” list. The food choice is excellent and there is something for everyone. It is also priced very reasonably. Staff are professional and smart and service was spot on. We like to eat early and we booked for 6.15 and we were on our way to our next port of call by 7.40 which was perfect. I don’t have any views about eating later in the evening e.g. noise level, service when it may be busier etc but for us, it is a definite go to. 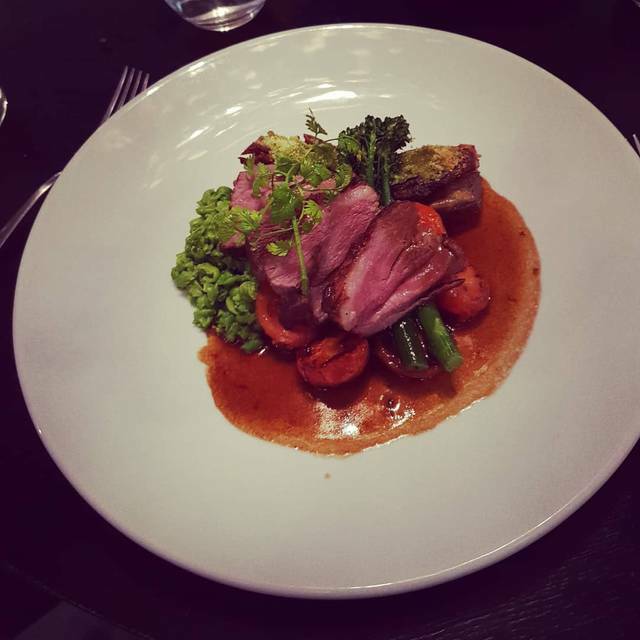 The food is excellent and the set menu is good value. The staff are friendly and helpful. It was Tuesday that we went and it was very quiet, before Christmas they did a 25 percent off drinks Happy Hour before 7:00 pm but they've stopped that. It might bring more people into the bar if they reintroduced it. Fantastic food with good choice of healthy eating options. Service Was excellent and ambience great. Live music made the experience extra special. 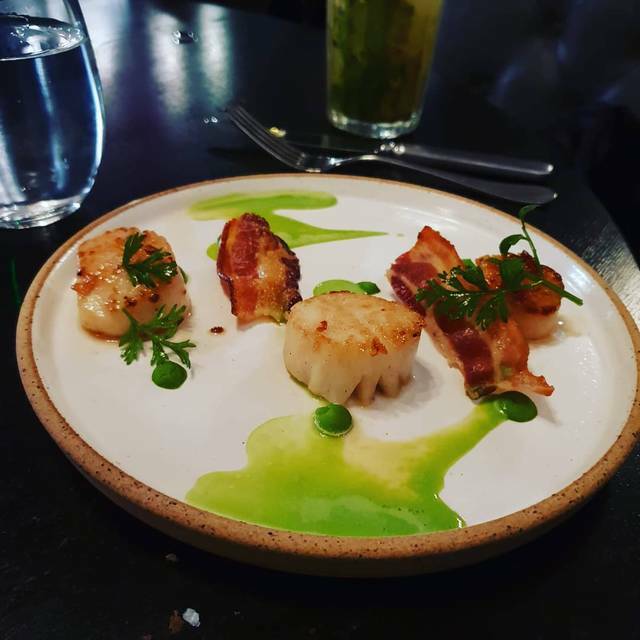 The food and service were great, with the waiting staff being very friendly and attentive and the food incredibly tasty and reasonably priced. However, the only drawback was the restaurant is right next to the bar, and there is no partition between the two, so we practically had to shout to each other to make ourselves heard over the raucous sound going on in the bar (which seemed like some works party.) This somewhat spoilt the ambience, as the general decor and look of the restaurant was lovely, but the fine dining experience was somewhat countered by the overwhelming noise going on in the bar. Excellent food and service, Chico was very friendly and answered our questions to the chefs. Our only reservation was the the flowers, although beautiful they were rather overpowering . Excellent food and service as usual at a price that reflects the quality. First time at Esabella's, would I go back, I don't know. We were seated next to a group celebrating a birthday, very noisy, and then the music from the bar, was very noisy, so it spoiled the evening, as we couldn't hold a conversation with friends. Excellent service friendly staff food was amazing! Will definitely be returning! Consistently Good Food here, recommended.